Jennifer Cheng was professionally trained in ballet. She received her advanced certification from the Royal Academy of Dance. She was also a recipient of a Ford Foundation scholarship to the School of American Ballet. Jennifer received her B.A. at Pomona College, M.B.A. at UC Irvine and J.D. at UC Davis. She was a corporate attorney with the Automobile Club of Southern California for over 20 years. 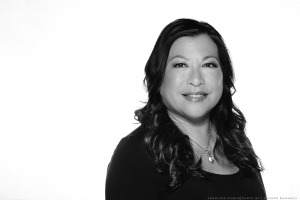 Jennifer is the Executive Director of the Dance Conservatory of Pasadena which she founded in 2010. She serves on the board of directors at the Huntington Library and Gardens, and is a founder at the Kaufman School of Dance at USC. Jacques Heim (DIAVOLO Artistic Director) has been a transformative choreographer for over 20 years. He founded Diavolo in 1992 and has directed the Company’s work ever since. In addition to his work with Diavolo, Jacques has worked extensively for other companies in dance, theater, TV, and special events worldwide. Most recently Jacques worked with Guy Caron and Michael Curry as consulting choreographer on Ice Age Live!, a “mammoth” arena show which had its world premiere at London’s Wembley Stadium in November 2012 and is now touring Europe. For Cirque du Soleil, Jacques choreographed KÀ at the MGM Grand, Las Vegas. He was invited to be a Creative Director for the Opening Ceremony of The 16th Asian Games, in Guangzhou, China. In 2005, Jacques was the Artistic Director for the Taurus Stunt Awards and returned in 2007 to stage a movement/stunt piece, “The Car”. With Center Theater Group, Jacques created choreography for the stage play, The Stones. On television, his work has appeared on BBC America’s Dancing with the Stars and Bravo’s Step Up and Dance. Jacques taught movement and dance for many years at Ballet Pacifica, Cal State LA and UCLA. In addition to three USA Fellowship nominations and four Alpert Award nominations, Jacques has received the Martha Hill Choreography Award of the American Dance Festival, the Special Prize of the Jury at the 6th Saitama International Dance Festival, a Brody Arts Fund fellowship, and a James Irvine Foundation Fellowship. A Houston Native, Dusty Alvarado grew up as a competitive gymnast, actor, and dancer. He received his BFA from Carnegie-Mellon University and worked in NYC as a professional dancer immediately following his graduation. Upon graduation, Dusty joined an Israeli dance troupe, The Aluminum Show, and toured the world during his early twenties. Searching for a greater challenge, Dusty joined DIAVOLO | Architecture in Motion as a company dancer. He was involved in three creations, including Fluid Infinities, which premiered at the Hollywood Bowl in September 2013. Dusty has since then transitioned into the role of Institute Director, passionately working to expand the educational and outreach programming of DIAVOLO to the community of LA and beyond. Daniel Wheeler is an award-winning internationally recognized and exhibited artist creating in diverse media, varied scale, and a range of contexts from private to public. After receiving his BA from Brown University in 1984, he lived in Japan before settling in Los Angeles in 1986. With 25 years of experience in making highly crafted, interactive and thematically sensitive objects and environments, he is at once a sculptor, set designer, furniture maker, construction supervisor, fabricator, photographer, teacher, husband, and father. He brings a kaleidoscope of skills, vision and thought processes to every project. Headshot photography by Leandro Damasco, Jr.